Recently, fifth graders took a day trip to Galveston to visit Moody Gardens. Here, students explored several different exhibits the gardens has to offer. First stop, the pyramids. In the aquarium pyramid, students explored life I the arctic as they stood within feet of penguins and sea lions. 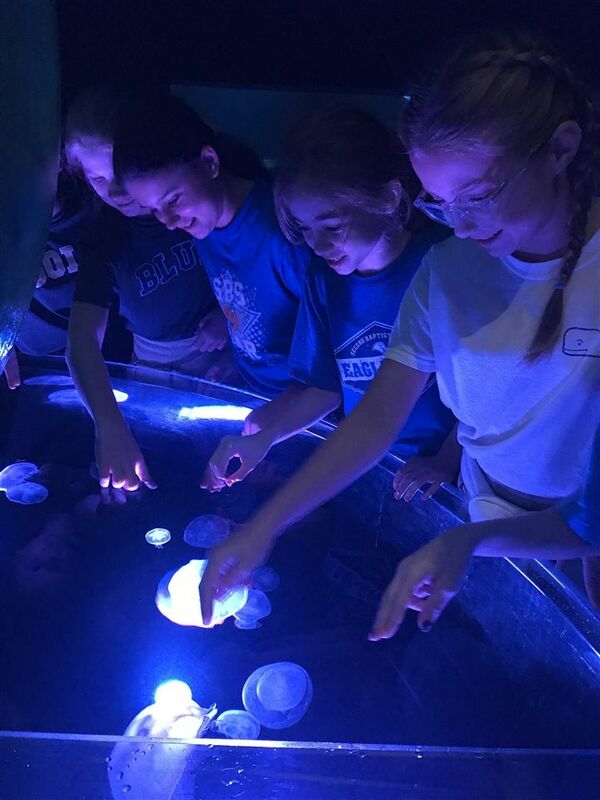 Fifth grader Owen Osowski said, “My favorite part was petting the sting rays!” Fifth graders Madison Kalife and Peyton Walsh were so excited to touch the live jellyfish. During lunch, students observed an otter in its habitat through a floor to ceiling window. The otter served as the perfect mealtime entertainment as it sunbathed, rolled around in the sand, swam and played. Students laughed and stayed glued to the windows in awe of this crowd favorite. Click here to view photos from the fifth grade field trip to Moody Gardens.